Can Keytruda beat Opdivo to full UK access in lung cancer? Last week’s NICE rejection of Opdivo for routine use in lung cancer patients has presented BMS with another setback – and an opportunity for Merck Sharp & Dohme (Merck in the US) and its rival checkpoint inhibitor Keytruda. Neither of these PD-1 immunotherapy drugs come close to being a cure for lung cancer, but they can typically add 3 months or more of life compared to docetaxel, the standard second line treatment, and have fewer severe side-effects. NICE issued draft guidance last week rejecting Opdivo in second line non-small cell lung cancer (NSCLC) patients, but did suggest a compromise. This would involve testing patients for the biomarker PD-L1, and only allowing those with high levels – ≥10% – to receive the drug via the revamped Cancer Drugs Fund. BMS was far from pleased – as it would disqualify two-thirds of NSCLC patients (those with lower PD-L1 levels) – and said the proposal wasn’t consistent with the trial data or its licence. 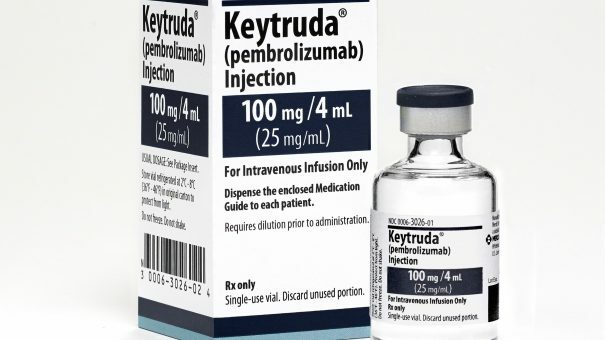 However, BMS’ setback is further good news for MSD’s Keytruda, which now looks increasingly likely to become the dominant player in NSCLC globally, after Opdivo failed to show efficacy as a first line treatment. But MSD will have to play its cards right to gain access to England’s lung cancer market – as Keytruda received its own draft rejection in second line NSCLC two weeks ago. Speaking to pharmaphorum this week, MSD’s UK managing director Louise Houson said it would work with NICE and NHS England to try to gain a full recommendation for Keytruda. “We are disappointed with the draft decision, however, we are confident at being able to turn that around,” she said. Unlike Opdivo, Keytruda’s European licence stipulates a PD-L1 test must be conducted in previously treated patients – anyone with expression of the biomarker of ≥1% could be eligible for treatment. However it seems logical that NICE could suggest for Keytruda something similar to the proposal for Opdivo through the CDF. Otherwise, MSD will have to persuade NICE with new data analysis, or an improved ‘patient access scheme’ price discount. MSD says its trial data demonstrates the drug’s efficacy in these ≥1% PD-L1 patients, and believes it is “close to meeting the NICE threshold for end of life indications” in the draft decision. This end of life threshold is £50,000 per QALY gained, NICE’s cost effectiveness measure. MSD will want to avoid the new CDF being its only route to market – the system has only just been launched, and carries lots of risks and uncertainties for pharma companies. 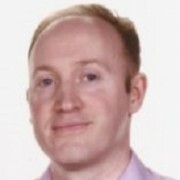 Houson said routine NHS use – known as ‘baseline commissioning’ would be preferable, but said the CDF remained an option, and would be happy to pursue whatever turned out to be the “most relevant pathway” for Keytruda in NSCLC. NICE’s rejection of Keytruda in NSCLC is in contrast to its first indication, advanced melanoma. The drug gained NICE recommendation in this setting in record time, and crucially uptake of this guidance has also been rapid. Louise Houson says uptake in England in advanced melanoma is ‘very positive’ and better than most other European markets, something she puts down to early engagement between the company, NICE and frontline NHS organisations. However while melanoma is relatively rare, lung cancer is by far the UK’s biggest cancer killer. It causes 22% of all cancer deaths in men and women, more than breast and bowel cancer combined. This means the ‘affordability’ impact of Keytruda and other immunotherapies in NSCLC will be much greater – something that NHS England looks set to take an even firmer grip on. The cost of Keytruda and Opdivo for an average treatment duration is around £29,000, though the confidential discounts offered by the firms will reduce this significantly. However NICE thinks many patients will take Keytruda and Opdivo without their disease progressing for longer than two years – which will push up costs considerably, and according to NICE’s methods, render the drugs not cost effective based on their current data. MSD will have to present data or a new pricing deal to NICE in the next few days. If this doesn’t succeed, Keytruda could be proposed for the Cancer Drugs Fund alongside Opdivo – or even worse, simply be rejected. This scenario is a possibility, as NICE’s draft ruling said the drug didn’t have the ‘plausible potential’ for meeting routine use criteria because of its high cost per QALY. This would seem like a harsh judgement on a drug regularly hailed as a breakthrough for lung cancer, so NICE is likely to seek a compromise. Meanwhile, NICE and NHS England will be pleased to see a third entrant to the market appearing on the horizon. Roche’s PD-L1 drug Tecentriq has just gained US approval in NSCLC, and should gain European approval during 2017, which will generate more competition.